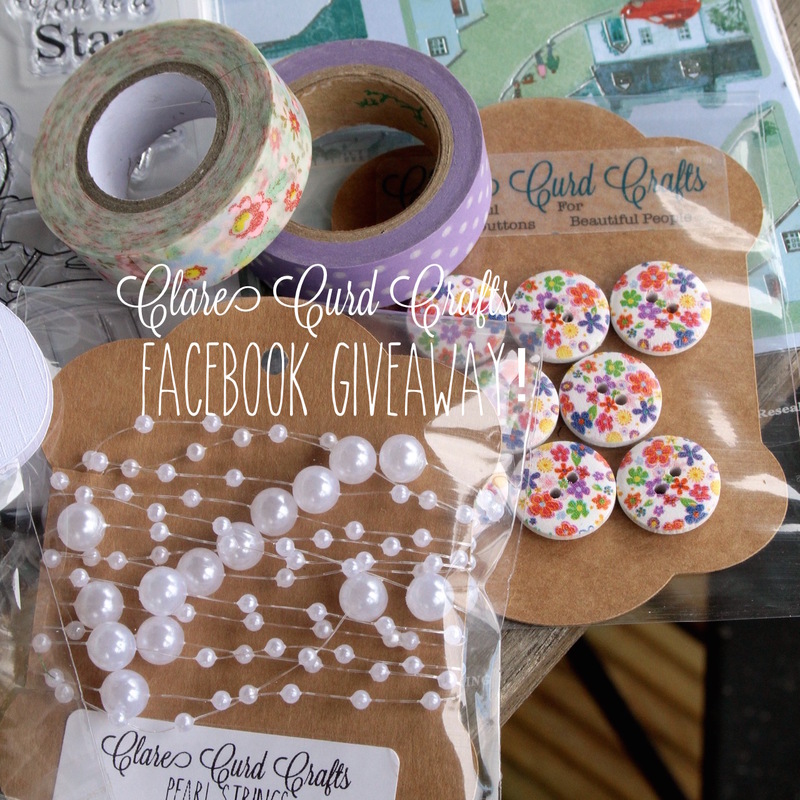 to celebrate this, I am having a Facebook giveaway. 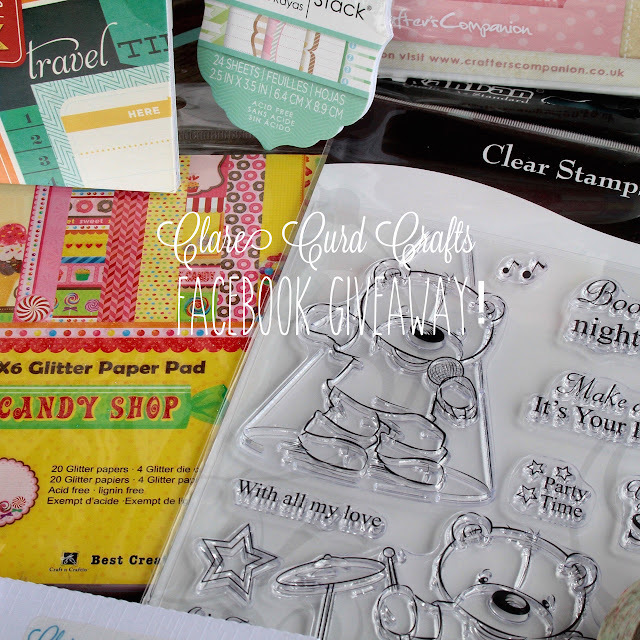 Over £58.00 of goodies to be won! 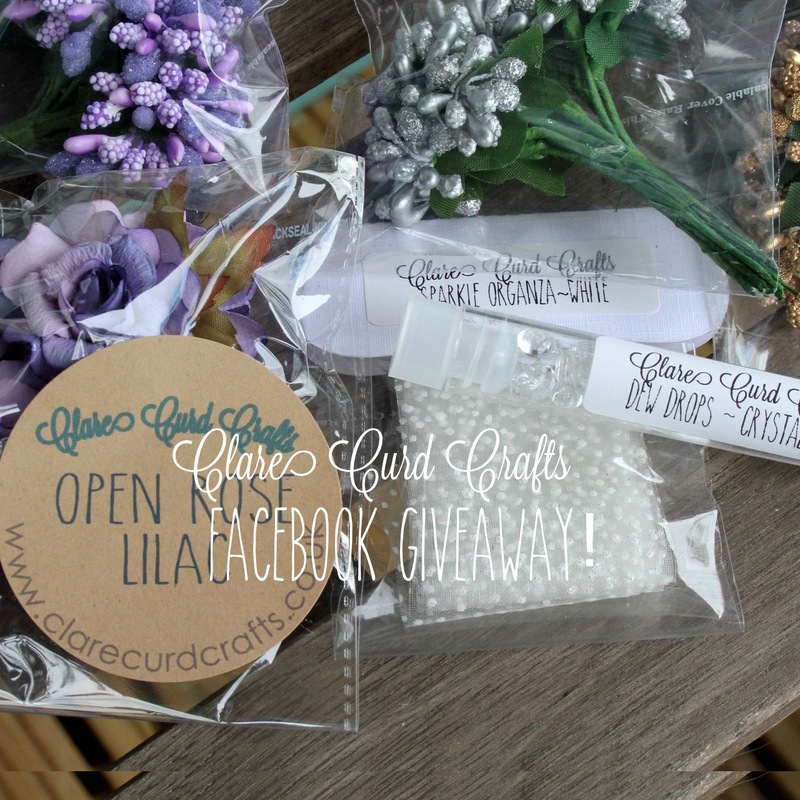 New Crystallised Berry Stamens from Clare Curd Crafts! 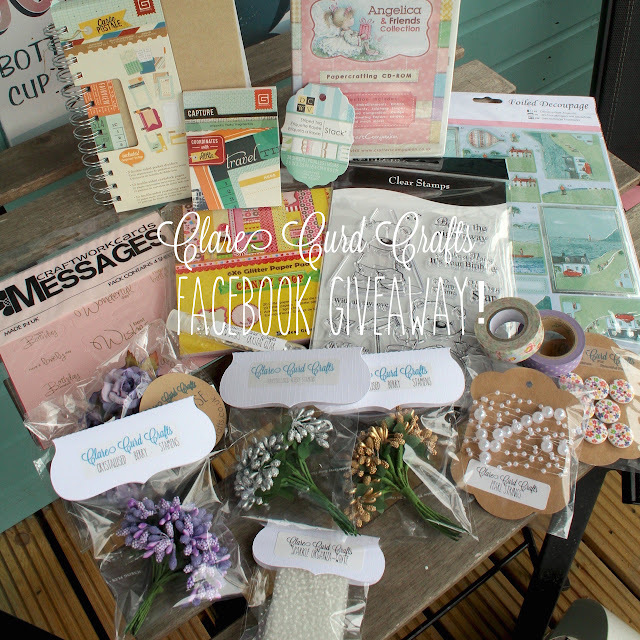 Paper Roses, New Sparkle Organza Ribbon and Dew Drops from Clare Curd Crafts! 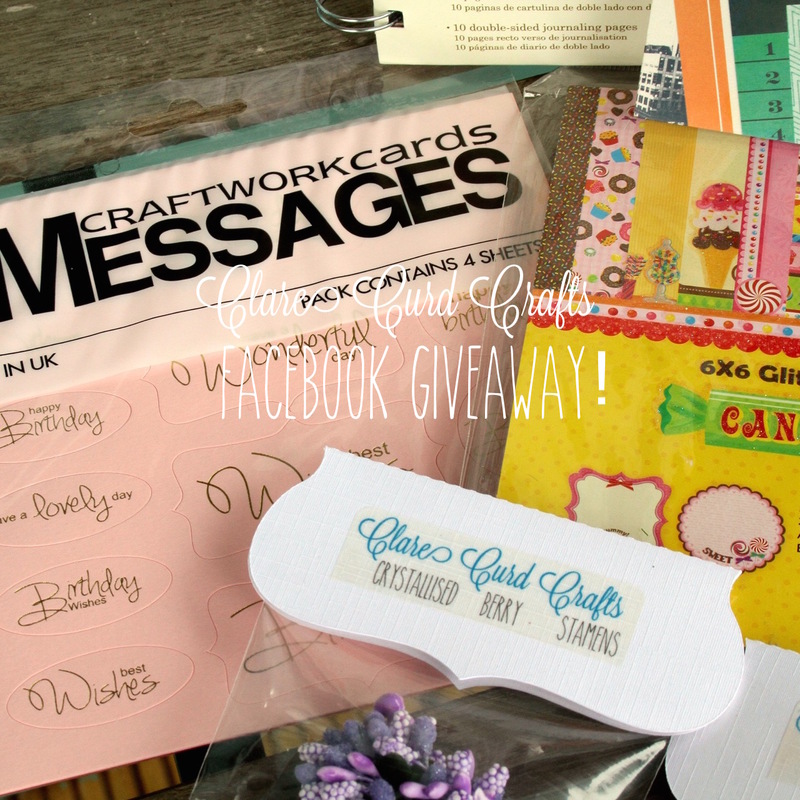 Foiled Messages from Craftwork Cards! Journal and Snippets from BasicGrey! Angelica CD Rom from Crafter's Companion! To be in with a chance to win, visit Clare Curd Crafts Facebook page and follow the instructions! 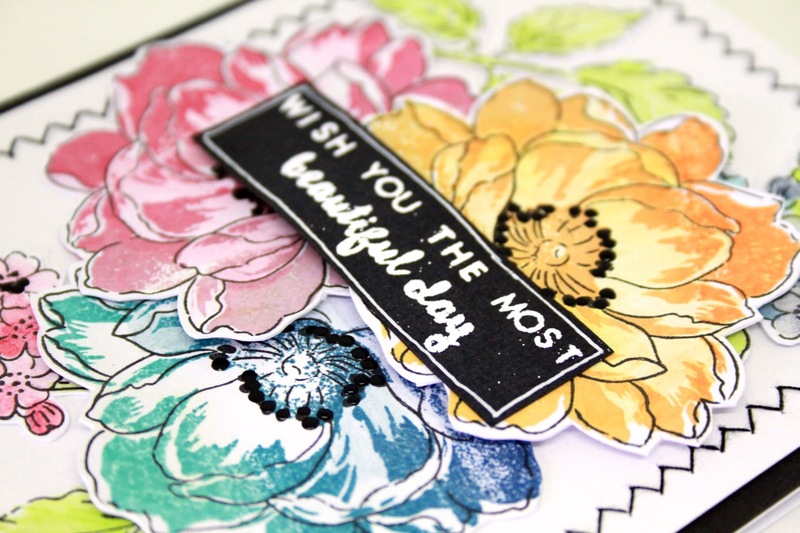 It's my turn again today for my card to be featured on the blog for My Mum's Craft Shop, Using the Beautiful day stamp set from Altenew. I love this stamp set, I can't remember the last time I used a stamp set so often and got a different look every time. Anyway, why not pop over to the My Mum's craft shop blog to have a full frontal look and see what else is going on there! 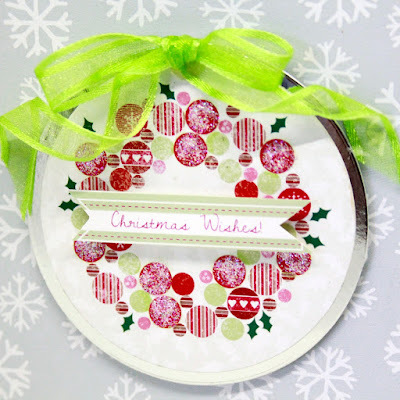 Sneaky peak of Tomorrow's Card for the Craftwork Cards Blog! 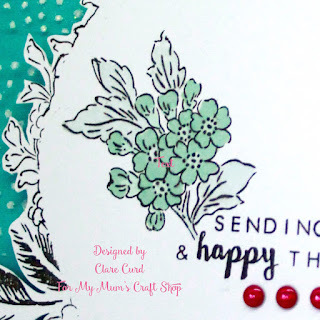 Just wanted to take a few minutes to share a sneaky peek of the card I've made to share with you over on the Craftwork Cards blog tomorrow at 10am. Yes, it's Christmas!!! 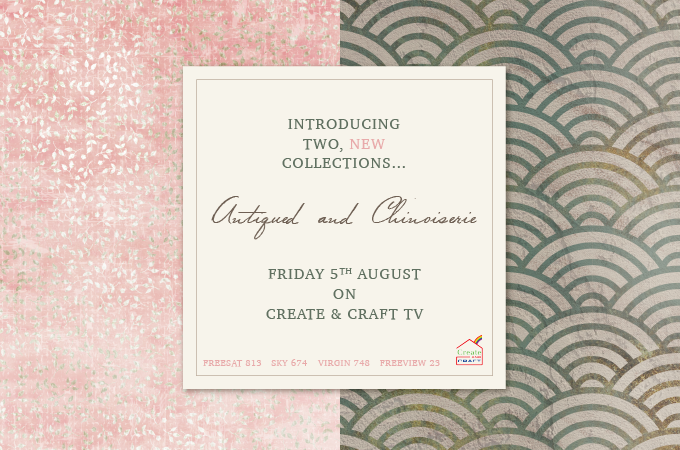 And by the magic of the internet and the ability to schedule posts, I'll be live on Create and Craft at the same time at 10am and then again at 4pm with two brand new kits from Craftwork Cards. 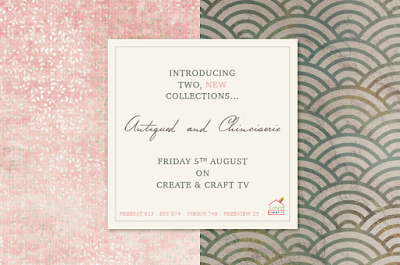 These are called 'Antiqued' and 'Chinoiserie' and are the first collections designed by Chloe who joined Craftwork cards in March of this year. 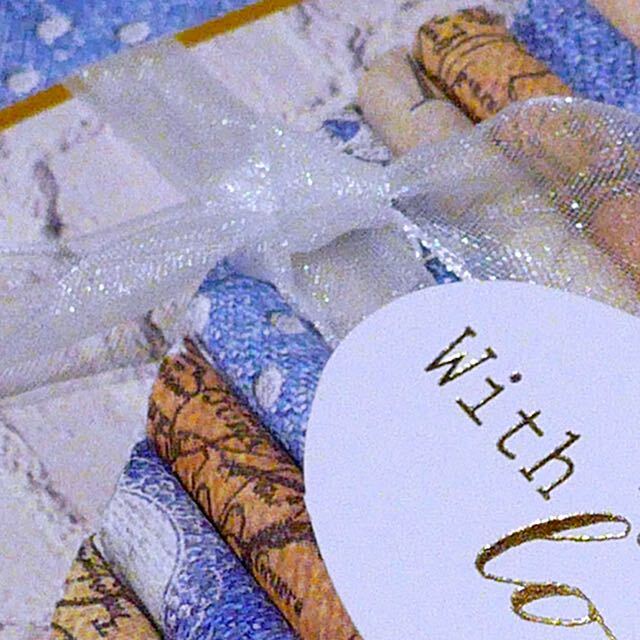 They are absolutely beautiful and I can't wait to share them with you, along with the cards and projects created by myself and our wonderful design team! News about my online shop! I haven't been on here for a while, and I have no excuse other than I've been very busy. I usually wish and wish that I could post on here more, but it always seem to end up at the bottom of my list of priorities, under 'sleep' and so usually I never get around to it, such my need and drive for sleep! 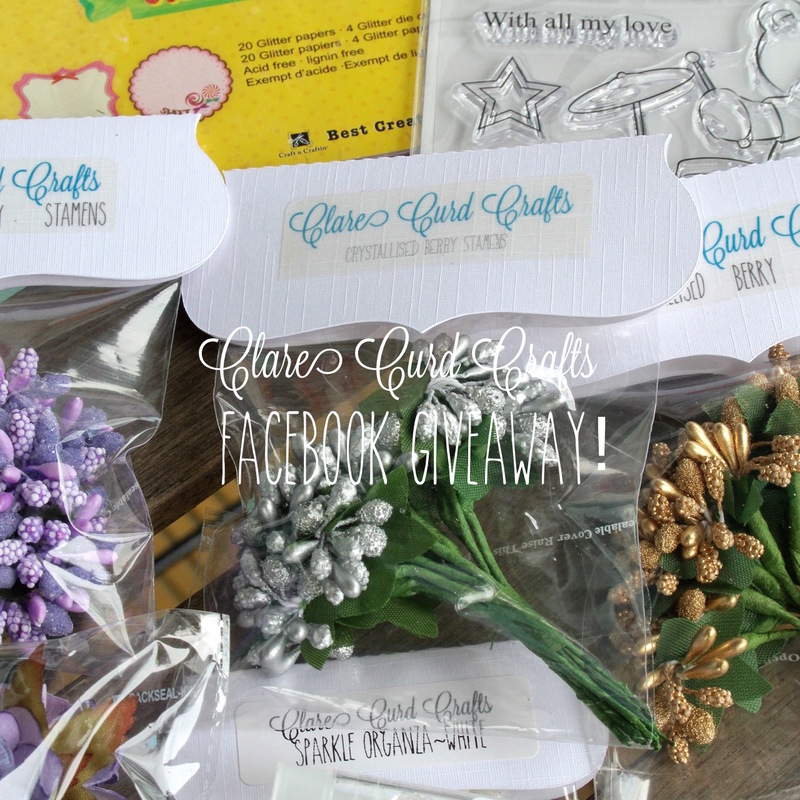 Anyhoo, at the moment I'm in the process of stocking taking my online craft shop Clare Curd Crafts, which is closed at the moment, and that's involved finding loads of things that hadn't even made it onto the website. So I'm in the process of uploading those as well as sourcing new products from overseas, and also revamping the look of the online shop too! A change is as good as a rest so they say! I do hope you'll pop along to have a look when it re-opens with a brand new look, I don't exactly know when this will be as it's just little old me having to do everything (and I'm no IT whizz), but if you sign up for our newsletter I'm sure to send one out a few days before we re-open. And you don't want to miss out on 30% off everything in store for a limited time do you?! Another Beautiful Day and Exciting News! It's my turn again on the My Mum's Craft Shop DT! I would love you to go and have a look at what I've made! Here's a sneaky peek. Why not go and have a look at the whole thing here! so if you would like to be kept up to date with what's happening there, please click here to sign up for our newsletter! My Mum's Craft Shop - I Wish You a Beautiful Day! Hi there everyone! 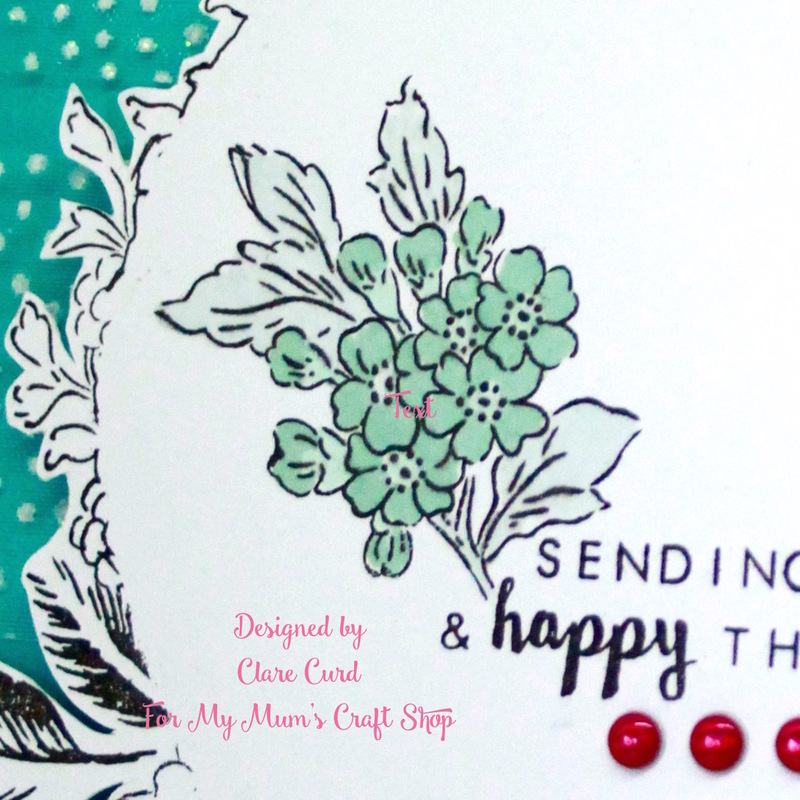 Clare here again with my DT card for My Mum's Craft Shop! It would be great if you could visit the My Mum's craft shop blog and leave a comment there too if you have the time! 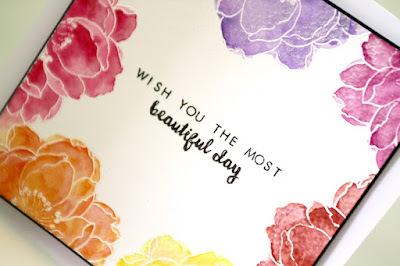 I really hope you don't mind but again I have used the Fantastic Beautiful Day Stamp Set from Altenew, along with Kuretake Gansi Tambi Watercolours. I have the full 36 colour set, as I always regret it if I go for the smaller packs of anything and wish I had just gone for them all. 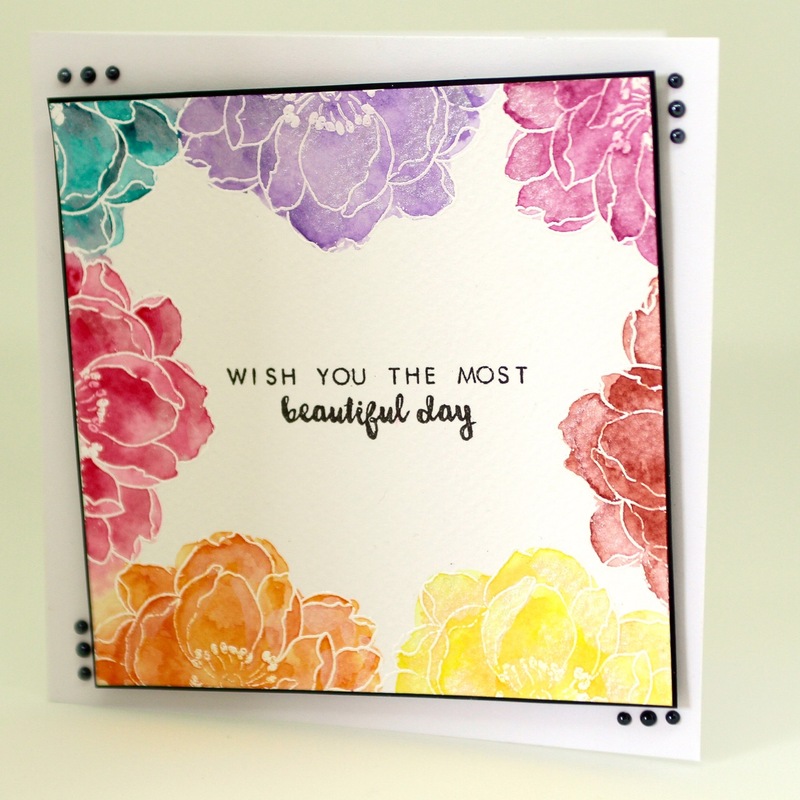 This card was so easy and enjoyable to do! 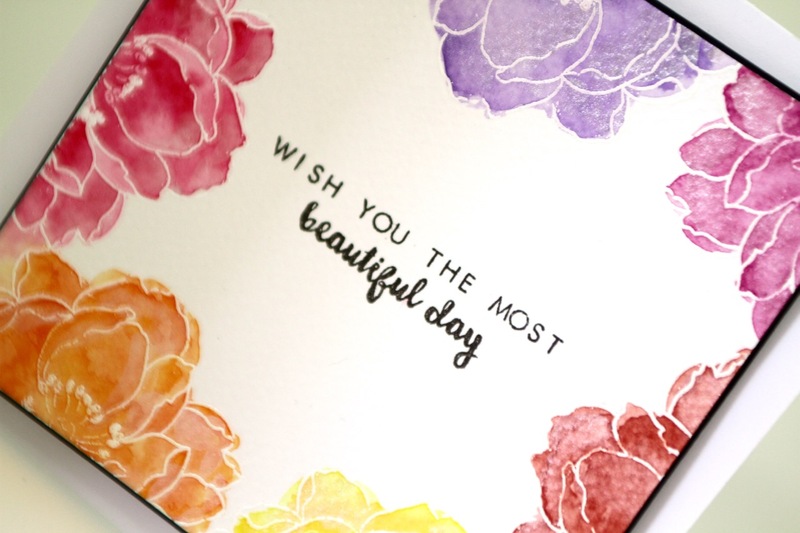 I cut watercolour paper to fit a 5 x 5 card blank with a border, stamped around the edge in white using the rose outline stamp and heat embossed using white embossing powder ( I use WOW! bright white opaque regular. Then I took colour from the Gansi watercolouring using a water brush and added colour to the flowers. I wanted a sketched result so wasn't too careful where the paint went. I added shading by just using less water. Then I used the silver watercolour to add a pearlescent effect to the petals. Finally I stamped the greeting from the set with Versafine onyx black ink to the centre of the square. i matted this onto black cardstock and fixed to my card blank using 3D foam pads. I added black pearls to the corners and there we have it! 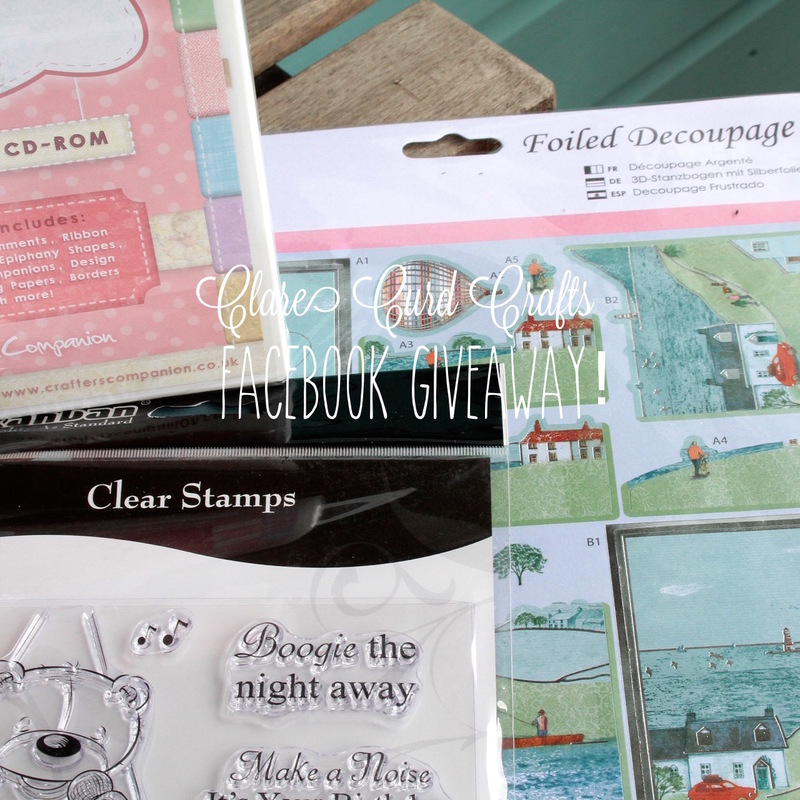 Altemew Beautiful Day Stamps from My Mum's Craft Shop! 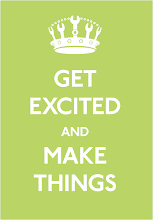 Today is the day of my First post on the DT for My Mum's Craft Shop! I'm super excited to share with you a card I made with Altenew's Beautiful Day stamp set and red cosmos inks. 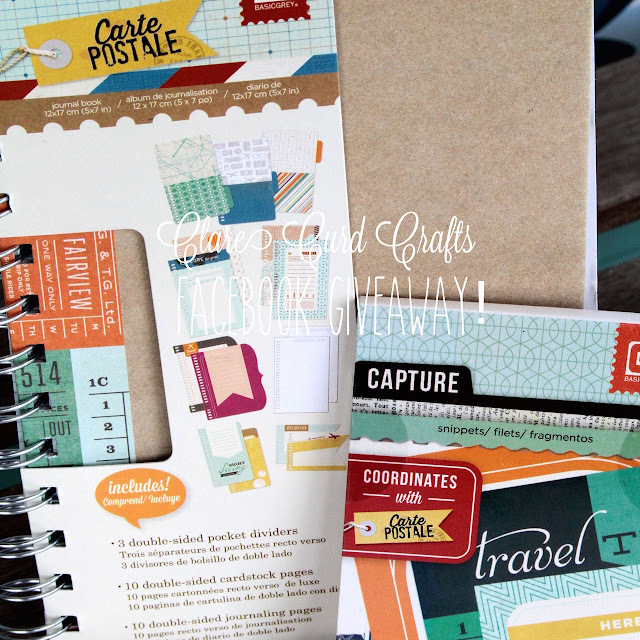 I need to get my hands on the green cubes too but for now I had to do with Distress inks and a Stampin' up dye ink. They are both GREAT but with the Altenew inks you just know that are going to work so well together and compliment one another. 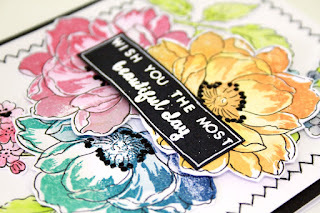 Here's a Sneaky peek of the card I made and I would LOVE you to go and have a closer look at it on the MMCS blog! Where does the time go? It was the end of April that I last posted on my blog and it feels as though it was just yesterday. It really is scary where the days go. I have some great news! 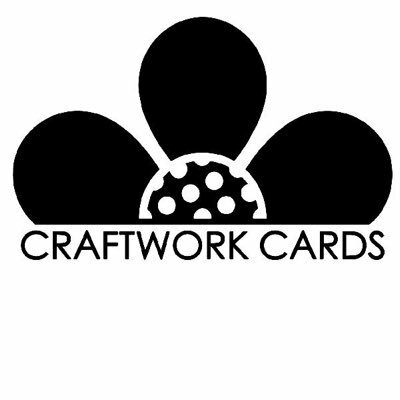 In addition to working with Craftwork Cards, designing and presenting for them on Create and Craft, I will now be joining the 'My Mum's Craft shop' DT. 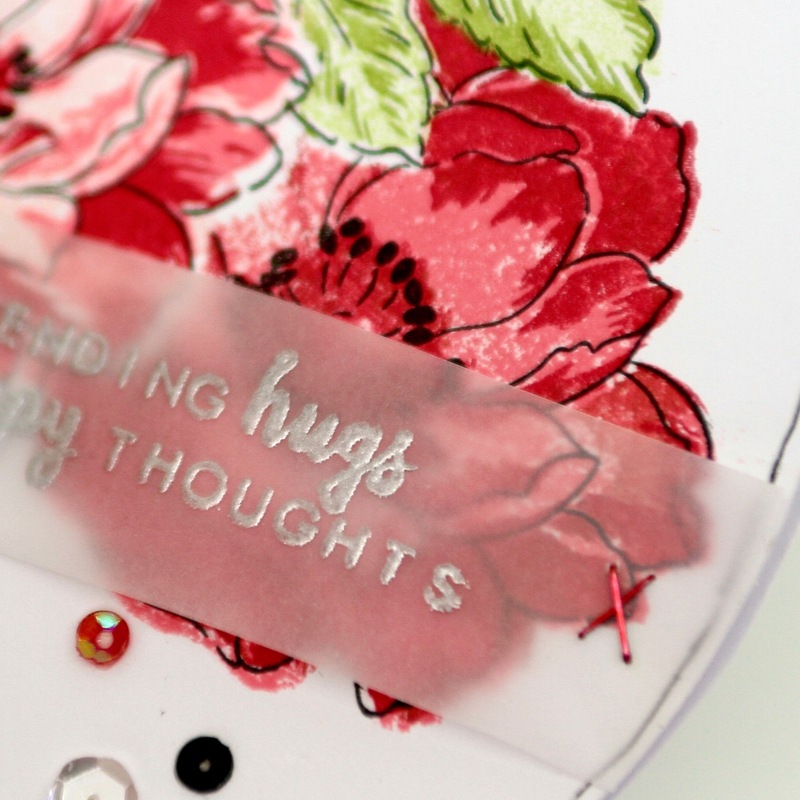 I just love their range of stamps and dies so I'm looking forward to it so much. My first post for them will be on their blog on the 7th June, so look out for some sneaky peeks around that time on here soon. In the meantime, I'm trying to get our house sorted tidy and decluttered so wish me luck, I'm going to need it! My First Craftwork Cards Online Craft Class is Live Tonight! How are things with you? The weather here is so changeable! One minute it's sunny and the next it's blowing a gale and hailing! Tonight is the first Online Craft Class with Clare on the Craftworks Card blog! This will start at 7pm and there will be posts every 30 minutes with the last post at 9pm. There will be step by step photographs along the way and we would love to see what you make! Here's a sneaky peek of what you will be creating! If you would like to know more about the class, click here and there's also details of what you will need so you can get everything gathered, and instructions on how to shut the world out and give you two hours of peace and quiet. Sorry, only joking, I'm not a miracle worker! Today I thought I'd share something completely different with you! I had a day off prepping for shows on Monday so thought I would do some sewing. I haven't done any for ages so I had to scrabble around to find everything, particularly material! I had wanted to make a desk tidy bin for ages, but never had the time to get around to it, so this was my opportunity. 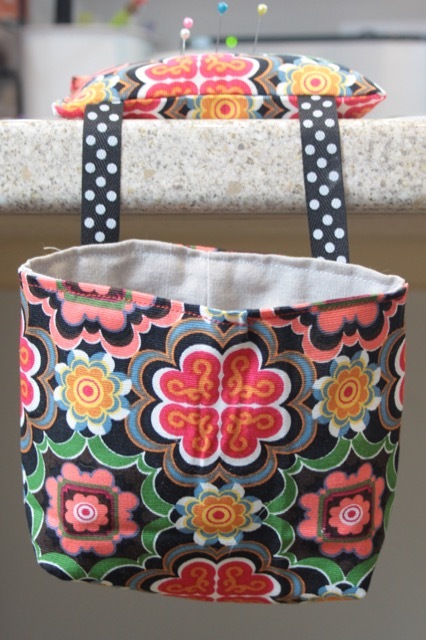 Because I'm not experienced at sewing I had a look on the internet for a pattern to use and I found this one from Etsy. It was really easy to make once I got used to the way the pattern was written, and surprisingly it used only a small amount of material. I decided to make two at the same time as I had my machine out, so why not! The material is from Ikea (you see, good for furniture, storage AND material!) and it was a small piece I had so I must've got from the off cuts section. 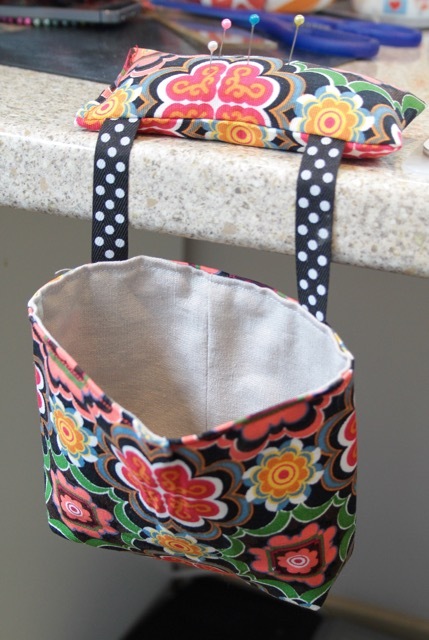 I used a neutral colour for the lining, and I used ribbon for the strips that hold the bag to the pin cushion. 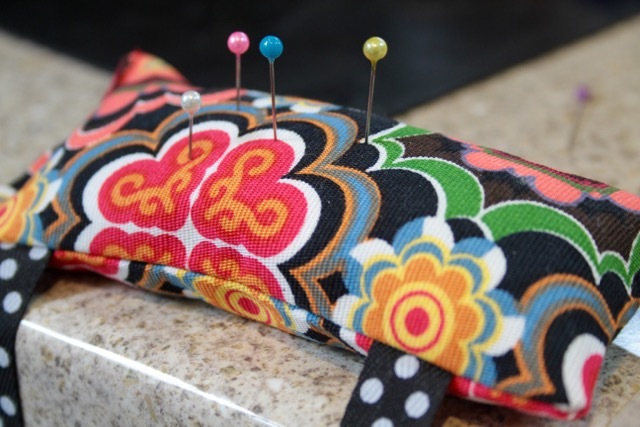 The pin cushion is filled with rice (pudding rice) to be exact, and is a good weight to hold it on my desk. I'll use it for scraps of paper and my backings from double sided tape etc for when I can't be bothered to turn around and throw bits in the bin on an ad hoc basis. I can see me making many of these :) when I have time of course!